Our February meeting (Tuesday 27th 7pm!) 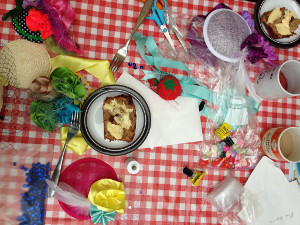 is a crafty one…we’ll be learning how to make our own fabulous fascinators! All supplies will be provided, but if you have something special you want to put on your fascinator, do bring it along – anything (feathers, flowers, small toy llamas even!) that will fit onto the base (about 11cm diameter) would work! Sew and no-sew options will be taught. Visitors are always welcome. We’ll also be having a raffle on the night, so bring along a little cash if you’d like to take part. £1 per raffle ticket and we have some beautiful prizes! Finally…we are pleased to announce that N1 WI is going to the races! Why not give your gorgeous new fascinator its first airing on our day trip to Ladies Day at Plumpton Racecourse on 13 May? Further details will be announced at the meeting, and available on the Facebook group and in our email newsletter – click here to sign up to our mailing list.